Did North Korea Test Hydrogen Bomb Technology? North Korea may have lost control of their World Cup game against Portugal (7-0! ), but the nation’s also lost control of something much more deadly: Waste products from its attempts to build a hydrogen bomb have been detected in South Korea. South Korean officials today announced the news, saying that “abnormally” high levels of radiation had been detected along the border with North Korea. Just days ago, the authorities in North Korea announced they had succeeded in a critical step toward producing a fusion reaction, and the implication from Seoul is that its Northern enemy (the nations are still technically at war) has been pursuing building a thermonuclear hydrogen bomb. North Korea has, inevitably, been vague on the matter, noting merely that they’d made a “breakthrough toward the development of new energy,” almost hinting that it’s been researching the technology behind clean nuclear power from a fusion reactor. With Seoul’s scientists saying they detected high levels of xenon gas along the border–a telltale byproduct from a nuclear explosion or nuclear reactor leak–and UN officials saying they’d not detected anything unusual, what’s going on? First-up, a nuclear bomb test, either airborne or underground, would’ve been detected in a number of ways: Seismic sensors around the globe would be able to pinpoint the source very quickly, and atmospheric nuclear monitoring stations would be able to detect any chemical byproducts of a (much, much more dangerous) airborne test. This seems to rule out an explosive test of some kind, and implies that if the North is searching for the tech to make a hydrogen bomb, then the experiment is of a different nature. 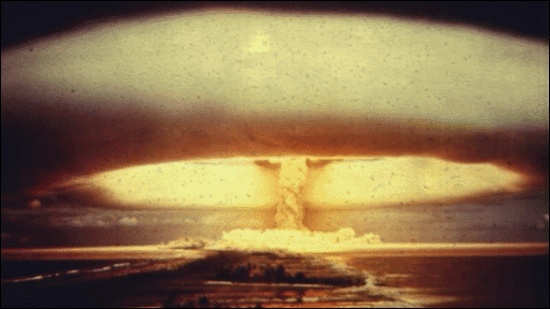 Secondly, the hydrogen bomb is a much more powerful and scary weapon than plain old fission-based atom bombs. It works by combining the atom-splitting reactions of a “normal” nuclear bomb with some atom-joining fusion reactions–this is the physical process that drives our sun, and it’s much more powerful (for this reason they’re more properly called a thermonuclear bomb). But a fusion reactor, like that hinted at by the North’s press release is a different process altogether. For decades scientists around the world have been chasing a successful fusion reactor design as it would be the source of plentiful electrical energy and carries almost none of the dangerous radioactive and chemical risks of a traditional fission nuclear reactor. If the North had successfully carried out a fusion reactor test, this would be news of an unimaginably important scale. Ergo, it’s unlikely that North Korea carried out a fusion reactor test. It would thus seem likely that if there was an elevated level of xenon on the North Korean border, it would indicate experiments to enhance a nuclear bomb into higher thermonuclear power levels. Which is a damn nerve-wracking thought to many in the West. The best hope is that both claims, from both sides of the Korean border, are just part of the usual diplomatic sniping, and contain only mere grains of truth.